The workbench of the typical electronics hobbyist today would probably be largely recognizable by Heathkit builders back in the 60s and 70s. But where the techs and tinkerers of yesteryear would have had a real dead-tree SAMS Photofact schematic spread out on the bench, today you’ll get more use out of a flat-screen display for data sheets and schematics, and this handy shop Frankentablet might be just the thing to build. Tablets like the older Nexus 9 that [enginoor] used as the basis for this build have a little bit of a form-factor problem because unlike a laptop, a tablet isn’t very good at standing up on its own. To fix that, they found a suitable silicone skin for the Nexus, and with some silicone adhesive began bedazzling the back of the tablet. A bendy tripod intended for phones was added, and with the tablet able to stand on its own they maximized the USB port with a right angle adapter and a hub. Now the tablet has a USB drive, a mouse, and a keyboard, ready for perusing data sheets online. And hackers of a certain age will appreciate the eyeball-enhancing potential of the attached USB microscope. [enginoor]’s bench tablet is great, but we’ve seen full-fledged bench PCs before too. Take your pick — wall mounted and floating, or built right into the workbench. Thanks to [ccvi] for the tip. We’ve probably all taken a look at the rash of cheap Intel-Atom-based tablet computers and wondered whether therein lies an inexpensive route to a portable PC. Such limited hardware laden down with a full-fat Windows installation fails to shine, but maybe if we could get a higher-performance OS on there it could be a useful piece of kit. [donothingloop] has an Intel tablet, a TrekStore Wintron 7, bought for the princely sum of $60. Windows 10 didn’t excite him, so he decided to put Ubuntu on it, or more specifically to put Ubuntu on an SD card to try it on the Wintron before overwriting the Windows installation. His problem with that was a bug in the Baytrail Atom chipset which limits the speed of SD card access and made Ubuntu very slow, and in trying to fix the speed issue he managed to disable a setting in the BIOS which had the effect of bricking the machine. A show-stopper when the BIOS is in a tiny SPI Flash chip and can’t be wiped or restored. What followed was an epic of desoldering the BIOS chip and reflashing it, though that description makes the process sound deceptively easy. The specification says it is a 1.8V device, so after attempts to flash it using an ESP8266 and then a home-made level-shifter failed, he was stumped. With nothing but a cheap tablet to lose, he tried the chip in a 3.3V programmer, and to his amazement despite the significant overvoltage, it survived. Resoldering the chip to the motherboard presented him with a working tablet that would live to fight another day. We’d have said that this work might reside in the “Don’t try this at home” category, but since Hackaday readers are exactly the kind of people who do try this kind of thing at home it’s interesting and reassuring to see that it can be done, and to see how someone else did it. A tablet that can be bricked through a mere BIOS setting though is something a manufacturer should be ashamed of. We like unbricking stories here at Hackaday, something about winning against the odds appeals to us. In the past we’ve covered Blu-ray drives crippled by dodgy DRM and routers rescued with a Raspberry Pi, but the crown has to be taken by the phone rescued with a resistor made using paperclips and pencil lead. Nothing spices up a quiet afternoon like the righteous indignance of an upset engineer, especially if that engineer is none other than [Dave Jones], on his EEVblog YouTube Channel. This week [Dave] has good reason to be upset. A viewer sent him what looked to be a nondescript 2010 era tablet from a company called Esinomed. From the outside it looked like a standard issue medical device. Opening up the back panel tells a completely different story though. This thing is quite possibly the worst hack job [Dave] (and we) have ever seen. This is obviously some kind of sales demo or trade show model. Even with that in mind, this thing is a fail. The tablet is based upon an off-the-shelf embedded PC motherboard and touchscreen controller. [Dave] took some offense at the hacked up USB connector on the touchscreen. We have to disagree with [Dave] a bit here, as the video seems to show that a standard mini-b connector wouldn’t have fit inside the tablet’s case. There’s no excuse for the USB cable shield draped over the bare touch controller board though. Things go downhill from there. 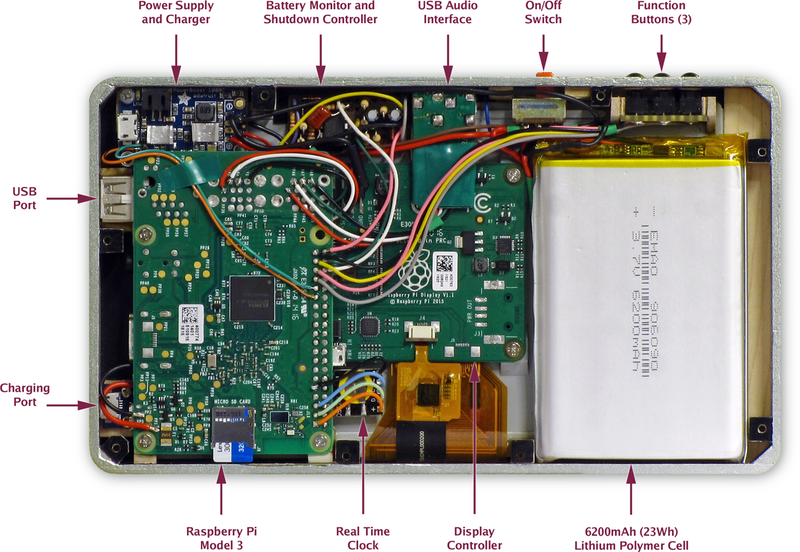 The tablet’s power supply is best described as a bizarre mess. Rather than use a premade DC to DC converter, whoever built this spun their own switch mode power supply on a home etched board. The etching job looks good, but everything else, including the solder job, is beyond terrible. All the jumps and oddly placed components make it look like a random board from the junk bin was used to build this supply. The story gets even worse with the batteries. The tablet has horribly hand soldered NiMH cells shoved here, there and everywhere. Most of the cells show split shrink wrap – a sure sign they have been overheated. It’s hard to tell from the video, but it appears as if a few cells have their top mounted vent holes covered with solder. That’s a great way to turn a simple rechargeable battery into a pipe bomb. Batteries can be safely hand soldered – Radio Controlled modelers did it for decades before LiPo cells took over. We’ve all hacked projects together at the last minute; that’s one of the things we celebrate here on Hackaday. However, since this is a commercial medical device (with serial number 11 no less) we have to stamp this one as a fail. The Microsoft Surface Pro 3 is a neat little tablet, and with an i7 processor, a decent-resolution display, and running a full Windows 8.1 Pro, it’s the closest you’re going to get to a desktop in tablet format. Upgrading the Surface Pro 3, on the other hand, is nigh impossible. iFixit destroyed the display in their teardown, as did CNET. [Jorge] wanted to upgrade his Surface Pro 3 with a 1 TB SSD, and where there’s a will there’s a way. In this case, a very precise application of advanced Dremel technology. Taking a Surface Pro 3 apart the traditional way with heat guns, spudgers, and a vast array of screwdrivers obviously wasn’t going to work. Instead, [Jorge] thought laterally; the mSSD is tucked away behind some plastic that is normally hidden by the small kickstand integrated into the Surface. If [Jorge] could cut a hole in the case to reveal the mSSD, the resulting patch hole would be completely invisible most of the time. And so enters the Dremel. By taking some teardown pictures of the Surface Pro 3, printing them out to scale, and aligning them to the device he had in his hand, [Jorge] had a very, very good idea of where to make the incision. A Dremel with a carbide bit was brought out to cut into the metal, and after a few nerve-wracking minutes the SSD was exposed. The only remaining task was to clone the old drive onto the new one, stuff it back in the Surface, and patch everything up. [Jorge] is using some cardboard and foam, but a sticker would do just as well. Remember, this mod is only visible when the Surface kickstand is deployed, so it doesn’t have to look spectacular. Thanks [fridgefire] and [Neolker] for sending this in.